UK students can get a free flu shot at the Game Day Zone before the last two UK home football games. 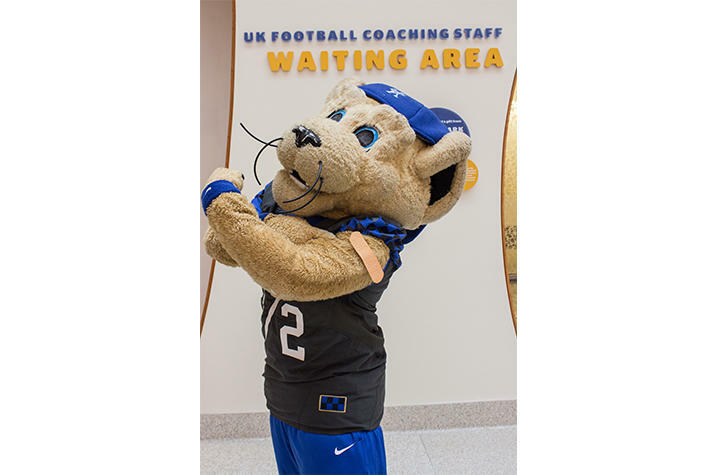 LEXINGTON, Ky. (Oct. 22, 2018) – The University of Kentucky College of Pharmacy, UK HealthCare Pharmacies, and University Health Service are working together to provide a free flu vaccine clinic at the last two home football games of 2018 at Kroger Field. Beginning two hours prior to kickoff of each game, UK pharmacy students, faculty and alumni will set up in the Game Day Zone, the student tailgating area located at the northeast corner of Pieratt field next to the Johnson Center. To receive their free vaccine, students will need to bring their Wildcard ID. Paid for through funding from the Office of the Provost, the clinic was pulled together quickly through the efforts of many UK and UK HealthCare faculty and community partners. For years, UK College of Pharmacy students have been heavily involved in providing flu shots for faculty, staff and students across campus. Last week, pharmacy students were on hand to provide immunizations for UK leaders at the October Board of Trustees meeting.